When Prince William and Kate Middleton were seen kissing passionately at an Army party earlier this month, some commentators suggested their reunion was merely for old times’ sake. But according to reports the date was part of a considered campaign by the royal officer to win back his former sweetheart. The 25-year-old prince is said to have had a change of heart about breaking off their relationship and invited his former girlfriend to Clarence House on three occasions before she agreed to attend the do at his barracks. During their secret trysts he apparently begged her to re-kindle the romance. A source, which is close to the couple, revealed “He made it clear that he hasn’t got over her. Their split came because of Wills’ desire to “live a little”, but, said the source, the prince “now feels he made a terrible mistake”. 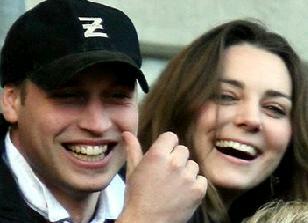 Kate Middleton is claimed to be wary, having been “seriously hurt” by the previous break-up.